Early preschoolers are also learning how to manage their strong impulses and emotions in ways that will help them successfully negotiate their world. Two year olds are developing their independence and many opportunities are provided for them to do this. Kids & Company teachers work with our families to introduce, encourage and practice new social skills including sharing, negotiation, self-assertion, managing frustrations, recognizing the need for moments of quiet time, and empathy. Kids & Company offers a range of activities to stimulate a preschooler’s love of learning. Children are involved in music, art, scientific observation and experimentation, pre-literacy, reading and writing, French, pretend play, yoga, and physical play (Munchkinetics). All of these activities help them explore new things about themselves, one another and their environment. We also focus on nutrition, teaching children where food comes from and the basic knowledge of food groups, vitamins and minerals and support this with our healthy, tasty food from the Kidco Kitchen. At Kids & Company, our preschool program offers foundational skills in a progressive, fun environment. The preschool program focuses on structure and developing autonomy, with an emphasis on cognitive learning; including number and letter recognition introduced through puzzles, games and our pre-literacy reading and writing program Alpha-Mania. 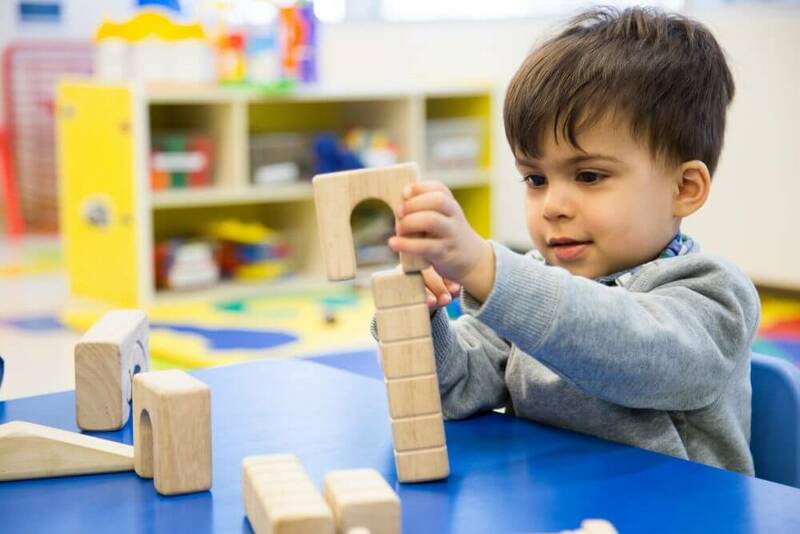 Our preschool program provides a foundation for developing greater independence, problem solving, integrating new concepts into their world view and incorporates elements to promote sharing and mutual respect. Teachers help children to understand routines, which simultaneously allows them to feel competent and confident in their current preschool classrooms and prepares them for kindergarten. This reading and writing program excites children about the alphabet, while significantly improving their phonological awareness. The program is designed on the principles of multi-sensory learning and consists of four main styles of learning: visual (looking at the letter), auditory (listening to the letter sound), kinesthetic (sky writing the letter), and tactile (printing the letter on a sensory tray like sandpaper). The Alpha-Mania program is based on thorough early educational research on phonics instruction and phonological awareness skills. This art program introduces young learners to the world’s great artists. Children go beyond basic arts and crafts and become immersed in the world of art, learning techniques that are very approachable for emerging artists. The program fosters independence, imagination and creative confidence through manipulation and experimentation of a variety of materials and media. Each class focuses on a famous visionary artist, such as Vincent Van Gogh, Andy Warhol, Henri Mattise and Georgia O’Keeffe.